Hydrotherapy, or using water for various treatments, has probably been around since the beginning of man. With all the benefits, it's easy to see why! 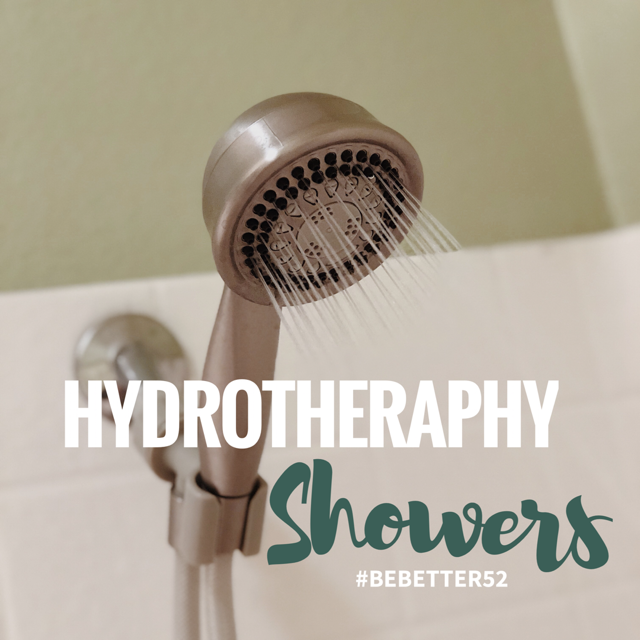 This week's Be Better Challenge is to incorporate hydrotherapy into your week. Take a long relaxing bath or take a freezing cold shower (there are benefits to it!). Better yet, alternate hot and cold water in a shower (always starting with hot and ending with cold) to give your circulation a boost and relieve muscle soreness. Taking a hot bath, shower, or using the sauna relaxes you by slowing your heart rate and dropping your blood pressure, reduces stress, and increases circulation. Sauna treatments have been thought to aid in the prevention of ischemic heart disease. Increased feelings of well being have been observed after post-hydrotherapy as well. Alternatively, cold water helps to relieve inflammation, increase your metabolic rate, stimulate the removal of toxins from the skin, and turn circulation inward toward your organs. Daily, brief cold-water exposure over many months may even enhance anti-tumor immunity. Scientific evidence shows that “regular winter swimming significantly decreased tension, fatigue, memory, and mood negative state points with the duration of swimming period; significantly increased vigor-activity scores; relieved pain who suffered from rheumatism, fibromyalgia, or asthma; and improved general well-being in swimmers.” A cold shower can be used to enhance energy in the mornings, but it also promotes a restful sleep when taken at night. 1. Start with water that feels comfortable. 2. Slowly increase the temperature hotter, to the point you can barely stand the heat. Make sure the water hits your head and feet. 3. Now turn the water temperature down to the coldest you can bare. Make sure water hits all parts of your body. 4. Repeat multiple times (up to 7 times). We hope you step outside your comfort level this week, try some form of hydrotherapy and see how it benefits you. Let us know how if you experience any added benefits in your life by posting your completed challenge!